Intel's 510 isn't a bad drive – in fact if you are just moving large files around it's a very good choice to go for – but the timing of its release hasn't done it any favours. 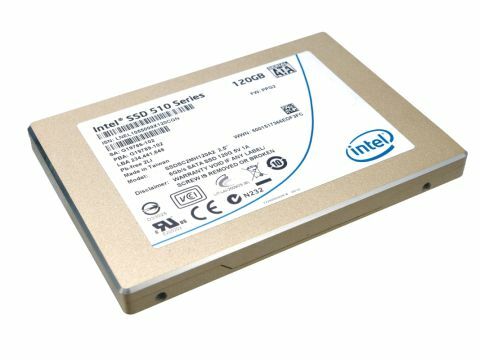 Just as the world and its faithful canine companion gets ready to release its new SandForce-powered SSDs, Intel has jumped the gun with its Intel 510 Series 120GB SSD. Intel might not be the first name that comes to mind when you think about SSD's as a whole, but it's the proud parent of one of the world's bestselling SSD drive series, the Intel X25-M. The X25-M sold huge quantities in its original 50mm technology. It still is, for that matter, as the X25-M G2 using 34mm NAND memory. While the X25-M was aimed at the mainstream market, Intel had nothing for the high-performance segment, and SandForce-based drives have made a real killing in this area. Now Intel has looked to plug this gap in its roadmap with the 510 series (code name ElmCrest), which launched with 120GB and 250GB capacities and a SATA 6Gbps interface aimed at gamers, enthusiasts and workstation users. The 250GB drive has sequential read and write speeds of up to 500MB/s and 315MB/s respectively, which is nice and rapid. However the drive we're looking at, the 120GB version, has a reduced capacity and corresponding reduced read/write speeds of 450MB/s and 210MB/s respectively. The 510 series though isn't quite what Intel had in mind when it began looking for a SandForce killer, but problems with the new controller forced their hand to bring us the 510 series.